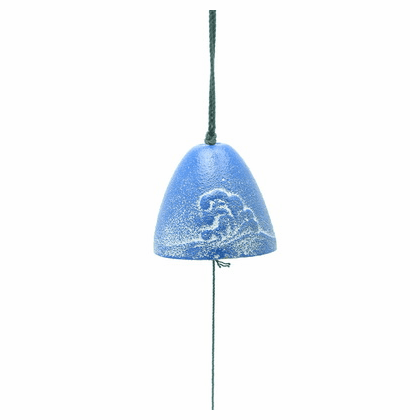 Blue cresting wave cast iron wind chime. Makes a soft, soothing sound. Comes with paper wind catcher. Wrapped and comes in its own box.